Help Doctor Mary Jo Create a Healthier World! Hi! I'm Mary Jo Ford, MD and I'm one of the 95 female scientists and doctors recently selected from 29 countries to be part of Homeward Bound 4!! My educational journey began when I received a scholarship that allowed me to attend what was then an all girls boarding school from 7th through 12th grade. I'm not sure I realized it at the time but that immersion into an arena of educating women from around the world had a huge influence on my confidence and ability to believe in achieving the unthinkable. Neither of my parents attended college, so, as the youngest of 7 children from Omaha, Nebraska, this educational opportunity was like winning the jackpot. I worked hard to make the most of the opportunity and eventually attended medical school. My original desire then was to work in health policy for the World Health Organization but my love of working directly with patients led me instead to a long and fulfilling practice as an anesthesiologist and pain medicine specialist. I've been practicing clinical medicine for 31 years and for a long time have wanted to take my career in a more far-reaching direction. In 2015 I worked with Partners In Health in their teaching hospital in Mirebalais, Haiti and also began volunteering for the Beach Cities Health District on the Livability Committee. One thing I learned in Haiti is that in order for people to worry about the future and health of the planet, they must first feel secure in their basic health and survival. On the Liviability Committee I've learned that making the healthy choice the easy choice can have lasting impact on behavior and well-being. Homeward Bound is a global leadership, strategy and science initiative for women with a background in STEMM (Science, Technology, Engineering, Math, Medicine). - to heighten the contribution of women in STEMM from around the world to effect decision making as it shapes the health and future of our planet. The vision is to equip a 1000-strong international collaboration of women with a science and medical background to lead, influence and contribute to policy and decision-making and to serve as mentors for the next generation. The 12-month program is designed to cultivate leadership, communication, visibility and strategic capabilities through intensive workshops and professional development coaching by expert global faculty. The year culminates in an intensive three-week research expedition to Antarctica. My medical practice has matured to the point where I can explore taking my concerns about global health to the next level. I believe Homeward Bound will help me strategically map out my best purpose and pinpoint the ways I am able to do the world the most good. Wanting to make a difference and knowing how best to do so are two very different things - I want to learn from and share with women with global STEMM perspectives and together create effective strategies to drive positive change. I'm ready to connect with leaders who understand the need for a sustainable, healthy future and who will teach me to be a more powerful force for public health. Homeward Bound will allow women to more fully contribute to solving the world's problems. Why does the program culminate in an expedition to Antarctica? Antarctica is one of the most vulnerable and rapidly changing regions of our beautiful planet, and serves as a beacon for the global environment. Regions of Antarctica are currently showing amongst the fastest responses to global warming seen anywhere on the planet. - It is governed cooperatively through the Antarctic Treaty System. - It is a model of international partnership and represents a way for nations to work together to solve problems that go beyond national boundaries. - The extreme environment in Antarctica necessitates leadership and teamwork for survival; our research expedition there will create strong bonds, inspire action and lead to extraordinary collaborations. Please take this journey with me! The value of this program is $31,000 per person. Thanks to the generous support of in-kind sponsorship, the individual cost is reduced to $20,000 per person for the year-long leadership training, workshops and the Antarctic research expedition. To secure my spot in the group, I need your help to raise $20,000. Fundraising is encouraged because it gets more people involved and is a means of spreading the word about the global issues we aim to study and help solve. Please join me and invest in this global movement to realize our vision for a sustainable and healthy future. If you can't donate, can you help me with sponsorship or other opportunities? You can help by donating and also by sharing my campaign among your networks and raising awareness of the Homeward Bound cause. For those of you able to help me participate in Homeward Bound – thank you! There are some amazing perks to thank you for your support! Please check the side-bar for perks. All amounts are deeply appreciated! Please note that PayPal and Stripe will charge a small processing fee. I'm open to ideas! If you have a different perk in mind that I can reasonably provide, please share your idea with me! Join me on a once-in-a-lifetime journey! Join Homeward Bound’s global movement to train women in STEMM to protect our planet's health. Travel with me to the end of the Earth, by receiving email updates along the way. Plus, I’ll send you a digital album of 10 stunning images from our adventures in Antarctica— icebergs, seals, whales and penguins galore! 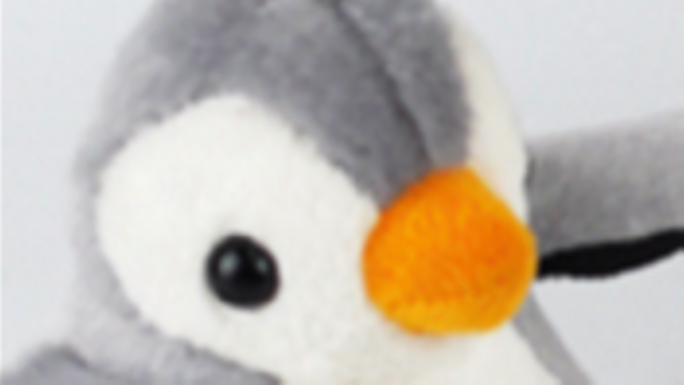 In addition to updates, you’ll receive your very own adorable penguin by mail! In addition to updates, I’ll take a picture of your name in an Antarctic landscape. Perfect for Instagram! $1,000 It Doesn’t Get Cooler Than This! The perfect educational gift for the budding scientist or animal lover in your life! 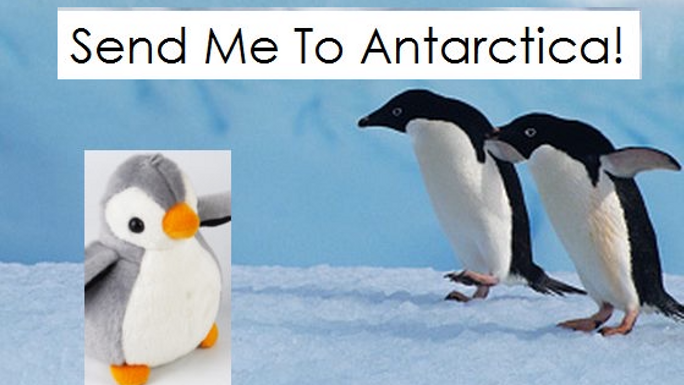 Or a once-in-a-lifetime treat just for you :) First, you select a name for your adorable penguin. Then, he or she comes to Antarctica with me, mails a personalized postcard from the South Pole, and emails a custom Arctic selfie. Gift-wrapped penguin arrives by mail after we return — just in time for the 2019 holidays! Get in touch with Help Doctor Mary Jo Create a Healthier World!